Ladies, I have found something fairly impressive and only natural that I share that with you all. We all know what a big part collagen plays in keeping us looking gorgeous and as science tells us, by the age of 40 your body has lost 15% of collagen production, by age of 60 it has been reduced by about 45%. This is not good news for anyone wanting to look fresh and young. Now, collagen alone wont make you look 40 if you are 60, but it will help with health and youthfulness. Now we may not all want to look 11, but little help from the inside never goes to waste. 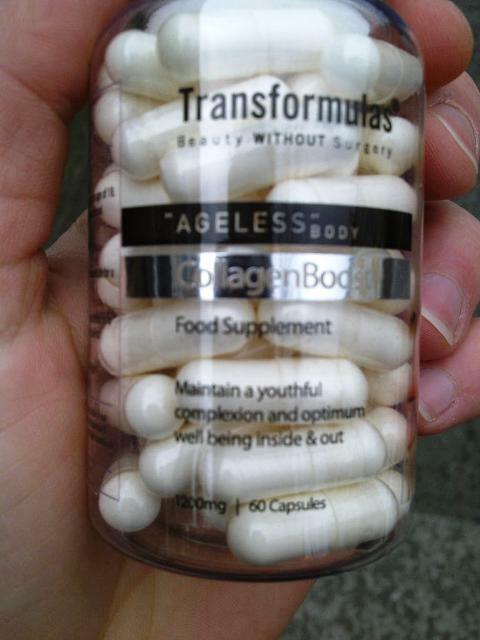 I discovered Transformulas ‘Ageless Body Collagen Boost’ capsules few months back and was really impressed with the scientific proof that they do actually work. So, ordered some and have been taking the religiously for the past six weeks and so far I am impressed. As you girls all know I am all about skin care, work with what you have and use the right products. As I just turned 32, I have been starting to see changes on my skin, it’s not looking as “tight” or a glowy (no matter how much radiance serum I use) as it did few years back. I am not one for going under the knife (at least not yet) and really wanted to see if little capsules would make a difference. The results are in, they sure do make a difference. I haven’t changed anything in my skin care and yet people have been commenting on how my skin looks, apparently I look fresh and somewhat younger. This is never bad news. The capsules work on the cellular level, delivering a potent anti-aging ingredients to the entire body; stimulating skin’s natural repair, replacing skin’s lost elasticity and so forth. WINNER! I can definitely say that I have seen results, so I would urge you all to click to Transformulas for stocklists! As you guys are well aware, my bathroom cabinet includes brands like Darphin, Bobbi Brown, Sarah Chapman, Origins etc. I realized that everything is very girly and most of you lot wont go and buy a product if it is in a pale green pump. 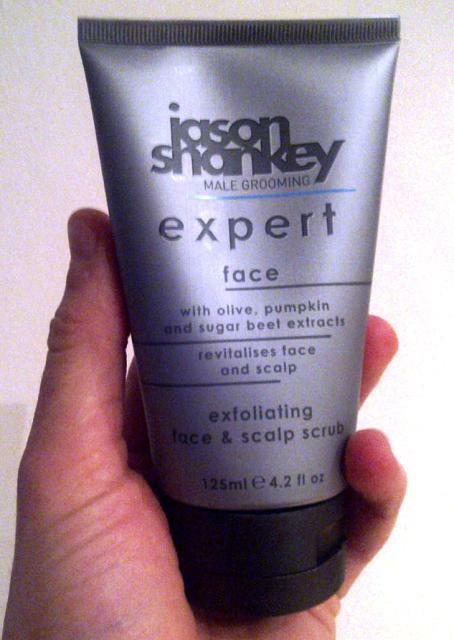 The idea was to find a more butch product line that all the men (gays included) would be happy to buy and display in your bathrooms, enter Jason Shankey. Jason has been making waves in the grooming world for a while now and after testing his Exfoliating Face and Scalp Scrub, I now know why! This scrub is really quite brilliant. Ground olive stones and pumpkin extracts work in the scrub to gently remove nasty dead skin and debris. Plus the added bonus from ginger and African Pepper really boost the skin up. The best thing? You can use this scrub on your face and scalp. I know how you men get, the less products the better. With this you can get it all scrubbed in one go. Sorted! If you want to say goodbye to clogged pores and ingrown hairs, and say hello to refined skin, that’s smooth and soft to touch, I would really recommend this scrub. Plus it looks butch in the bathroom. Winner. As I came home from the gym this morning and wiped away the sweat, my skin felt a little tight. There are few possible reason for this. The beastly gym sessions dried my skin out, I missed a step in my skin care routine last night or skin had a shock of how cold it was as I left the house at 6.25am. Anyhow, as I searched the bathroom for a solution. I was in no mood for opening packaging, nor trying something new. I needed a quick trusted fix. 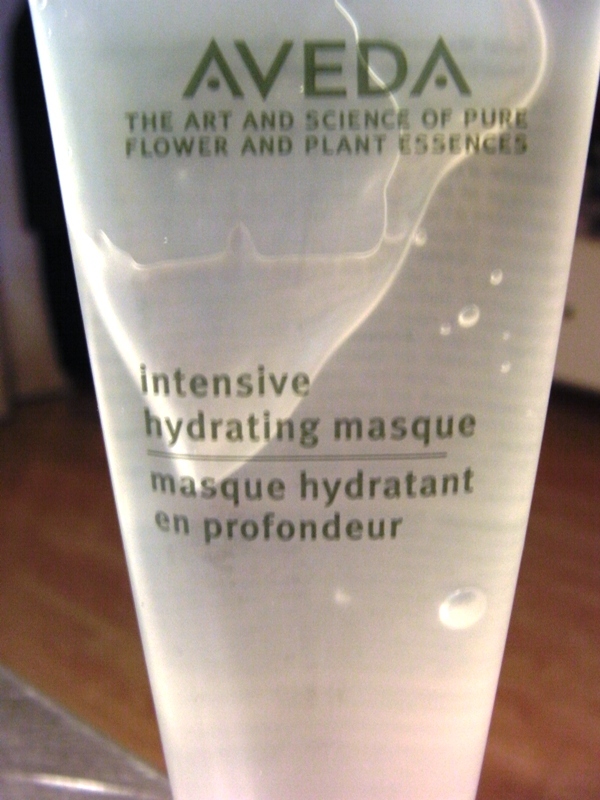 Enter Aveda’s Intense Hydrating Mask. Done. It kinda feels like hair gel. Does anyone still use hair gel? Do you remember what it feels like? Anyhow, it feels a bit odd as you cover your face with it. You do look like an alien version of yourself while it’s on. However, it sinks in like no tomorrow. I slapped mine on and let it sink in while I had my porridge. Washed it off in the shower, followed by toner, eye & day cream. Voila. I have amazing skin again. Feels smoother than a baby’s bottom. Go on, feel it. I dare you!